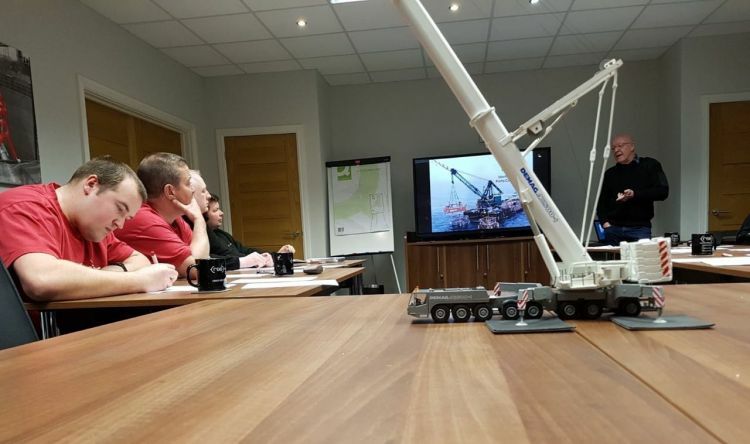 The recent mobile crane inspection course featured hands-on and classroom training. 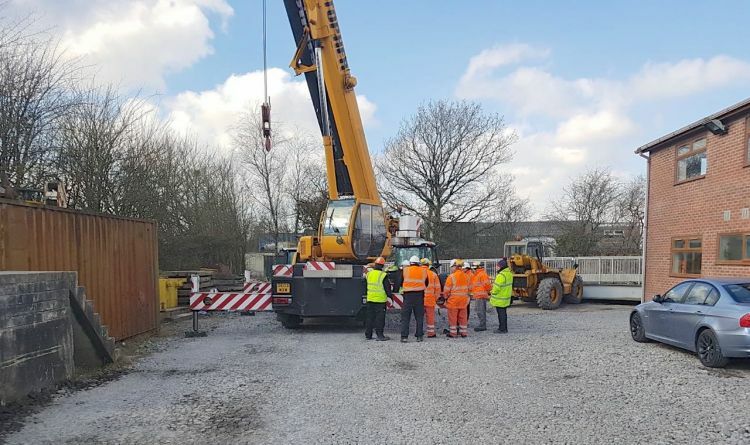 Eight Rope and Sling Specialists Ltd. (RSS) employees recently passed a mobile crane inspection refresher course, as managing director Steve Hutin looks to raise further the percentage of business gained from such work across the company’s six UK-based depots. Hutin predicts that approximately 25% of the firm’s current revenue is generated by Lifting Operations and Lifting Equipment Regulations 1998 (LOLER) and other specialist testing / inspection activity. A small team of professionals currently fulfills such duties, but two-pronged investment in their skillsets and training additional personnel will be initiated in line with increasing demand. RSS has locations in Heathrow, London; Aylesford, Kent; Rotherham, Yorkshire; Warrington, Cheshire; Grangemouth, Scotland; and Bridgend, Wales, the company’s de facto headquarters. Hutin said the geographical spread—he wants 10 sites one day—allows the company to tailor equipment and services to the lifting activities of a region. The eight employees who took the latest refresher—Mick Gill, Gary Coleman, James Garrish, Tony Mills, Stephen Conroy, Graham Dawson, Dan Hooke, and Christopher Williams—are all Lifting Equipment Engineers Association (LEEA) qualified and work across those geographies. Hutin acknowledged that, while testing and inspection aligns with company policy to play an integral role in making the industry safer, there is a strong business case for growing the percentage of inspection work. Charging per item, for a contract, or daily, depending on a customer’s preference, RSS can generate income without sourcing, manufacturing, shipping, or maintaining product that erodes profit margin. RSS is also welcoming increased demand for a range of courses covering key areas of interest to end users of lifting equipment, as developed by LEEA members, which are then audited and accredited by the association. Member companies, like RSS, present them to an agreed syllabus and timescale.